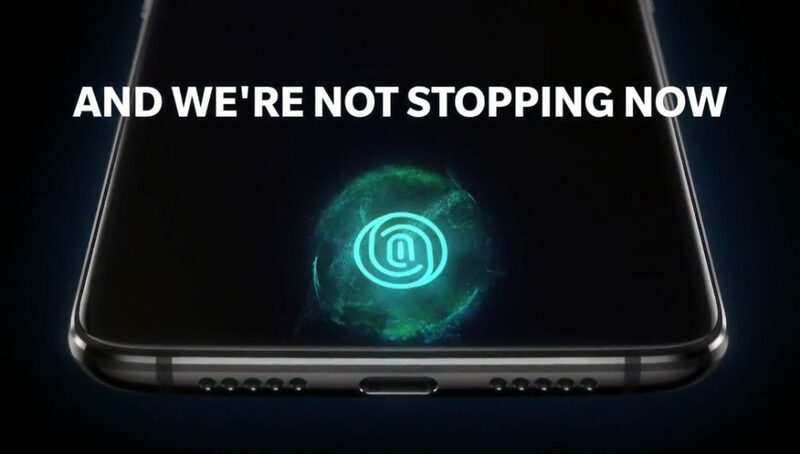 The OnePlus 6T launch is around the corner and the anticipations are skyrocketing as the day passes by. 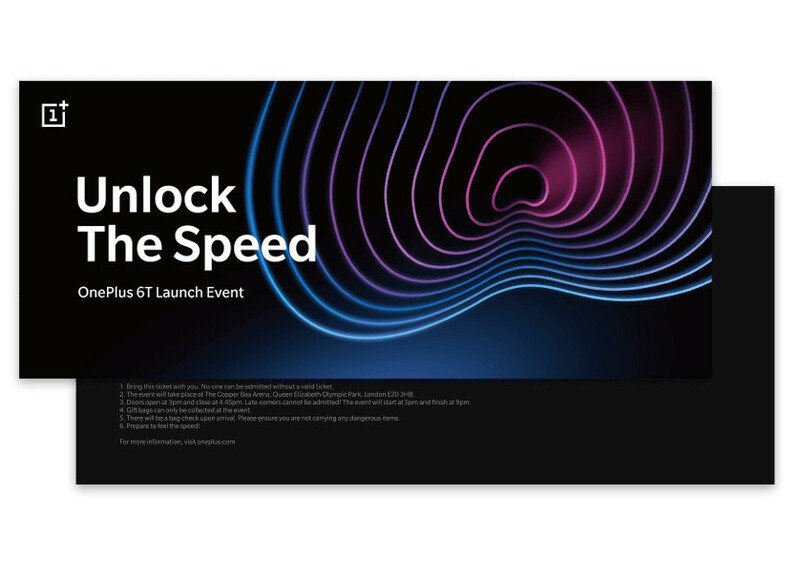 A few hours back, OnePlus finally sent out the invite for the launch of its flagship OnePlus 6T smartphone globally including India on October 30th, the same time it launches in New York at 11 AM EDT (8:30 PM IST). It will go on sale starting from 2nd November 2018, 12 PM. While a lot has been spoken and written about the specifications of the upcoming premium flagship, it’s high time to pre-order the device for some incredible benefits. In this regard, the company has announced pre-booking dates for the upcoming OnePlus 6T on Amazon.in. 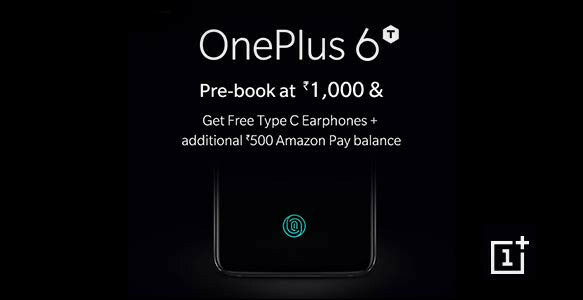 According to OnePlus, customers can pre-book the OnePlus 6T in advance even before India launch with some fascinating offers and get a chance to be among the first globally to purchase the smartphone on the first day of sale. The pre-bookings have been started today, 9th October 2018, 12 noon on Amazon.in, Croma outlets and OnePlus exclusive offline stores. It’s worth mentioning here the pre-booking customers will get a pair of OnePlus’ all-new Type-C Bullets earphones, worth Rs. 1,490 in addition to Rs. 500 in the form of Amazon Pay Balance on completion of the purchase of the OnePlus 6T. Step 3: Upon purchasing, you will receive a gift card on your registered mail ID. Step 4: You need to purchase the device on November 2nd or 3rd to get an additional cashback of Rs. 500 in the form of Amazon Pay balance on November 6th. This offer effectively gives the customers Rs.1,500 with the purchase of a Rs.1,000 Gift Card. Step 5: Get a coupon code to purchase the “OnePlus Type-C Bullet earphones” for free in your mail by November 15th. Apply the coupon on check-out page to get it for free. The most anticipated device of 2018, the OnePlus 6T is the first device from OnePlus portfolio to equip the futuristic ‘Screen Unlock’ technology. As per the company, the Screen Unlock will learn to recognise your fingerprint with higher accuracy through extended use. Another major upgrade is its 3700mAh battery which is 10% bigger than OnePlus 6. With OnePlus’ proprietary Dash Charging technology, the battery backup will be the issues of past. Moving on to specifications, the upcoming flagship killer is expected to come with power-packed specifications. If the rumours circulating on the Internet turns out to be true, the OnePlus 6T will sport a 6.4-inch AMOLED display with a water-drop notch, Qualcomm Snapdragon 845 SoC with up to 8GB RAM, mighty dual camera setup and it might come with Android 9.0 (Pie) out of the box. With OnePlus 6T, the company is ditching the 3.5mm audio jack, but it is more likely to add USB Type-C to 3.5mm audio jack converter in the box. Right from the start OnePlus celebrates its success or launch together with its community and this time its no different. This time, the company is celebrating the announcement of the OnePlus 6T by hosting the biggest ever Community event in its history. To take part in the launch event celebration, users need to buy ‘Launch invites’ through oneplus.in at Rs. 999 from 10:00 AM IST on Wednesday, 17th October 2018. Attendees will be the first in the world to experience the style and power of the OnePlus 6T at the experience zone at the launch venue. In addition, all fans who attend the launch event will get a gift hamper with Bullets Wireless. The launch of the OnePlus 6T takes place at the KDJW Stadium, inside Indira Gandhi Sports Complex, New Delhi at 8:30 pm on 30th October 2018. OnePlus will also offer live-stream for who won’t be able to make it to New Delhi launch.